Columbus' $32.5 million city complex comprised of three different buildings: City Service Center, Natatorium and Parking Deck. 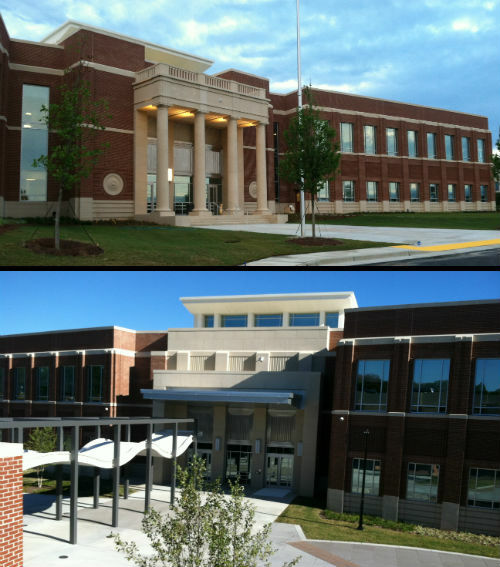 Miller-Mize Precast produced the architectural cast stone and precast for these three projects. City Services Center will house the 311 Citizen Service Center, Tax Assessors office, Tax Commissioners tag and property tax offices, elections and registration, council chambers, Deputy City Manager, finance, parks and recreation, CCG-TV and a small police precinct. It will also feature a first-floor community meeting room that can be used for events. The building is completely wrapped at ground level with architectural precast with a cast stone base erected above. 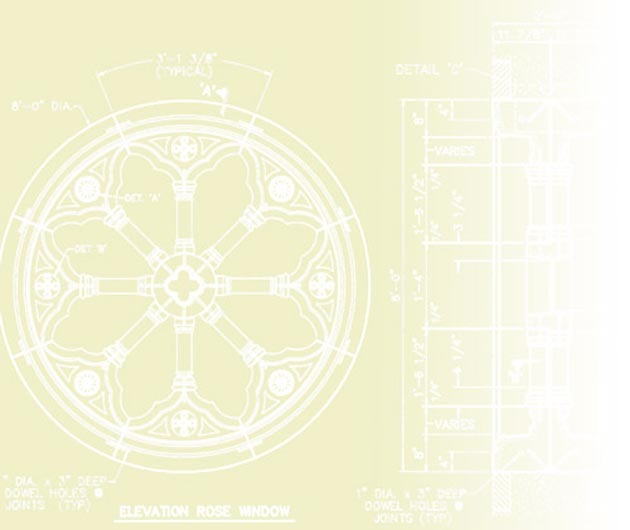 The north and south entries are completely designed and produced using cast stone. Above the cast stone base is an integration of cast stone bands, brick and topped with a cast stone parapet. Architect: 2WR of Georgia, Inc. The Natatorium features a 50-meter Olympic swimming pool that has 10 lanes running length-wise and 20 lanes running crosswise with 1-meter and 3-meter diving platforms on the west end. To the east of the competition pool, a 25-yard pool will serve as a warm-up/cool-down pool for competitors and for physical therapy and exercise. Additionally, there are 300 lockers and seating for 900 spectators. Cast Stone features were integrated with ground face CMU and brick to enhance the entry of the Aquatic Center. 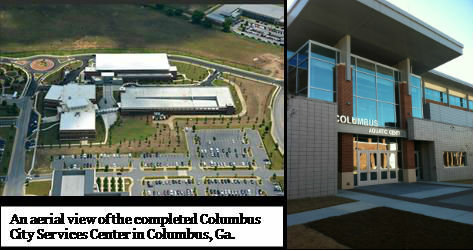 The Columbus City Service Center needed additional parking space to handle the traffic for the city services and the natatorium. The 370 spaces added by the parking deck will help facilitate that need and relieve the pressure of the parking on the neighboring Library and School District Headquarters. A series of architectural precast bands, sills and parapet copings were integrated with brick to dress up the concrete parking deck structure.